Having knowledge of Fire products fire stop system,Smoke Seal Products, Acoustic cladding & baffles. Provide technical plus application information support to sales dept. Monitor product sales to analyze pricing plus promotional requirements. Prepare, maintain and update documents and sales tools for using product presentations along with technical training seminars. Identify opportunities and execute marketing campaigns to place products in market place. 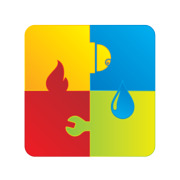 Develop new business in the fire fighting & fire Protection industry with main focus on Maintenance sales. Develop a Business Sales strategy to deliver profitable and sustainable growth across the product / service range and region in products, and asset enhancement services. Make sales calls and meetings. Work in collaboration with Sales Manager to optimize inventory holding and improve Supplier- Proserv-Client interfaces and processes. Make frequent visits to clients and Proserv offices to keep abreast of client needs and opportunities. Make frequent visits to client’s sites and offices to keep abreast of client needs, shutdowns, stock and other opportunities. Opening channels with new contractors, designers and clients and identifying the key personnel and decision making contacts. Provides fire protection technical support for the fire protection program and operating facilities on-site, strengthening all fire protection designs. Conducting design reviews of fire protection systems. Good negotiation skills and strong influence. Good motivator. Able to lead, inspire and motivate self and others. He/she shall have minimum 3 years experience . Experienced user of Microsoft Office, specifically Excel.